Tech Tour Growth Forum has named UTEN Global Startup Program alumnus Feedzai one of the most innovative technology companies in Europe. Feedzai received the Special Jury Prize last week at the Forum’s award ceremony in Geneva. To be eligible, Feedzai had already been identified as one of Europe’s 50 fastest growing pre-exit companies, the Tech Tour Growth 50. Feedzai is a Portuguese data science company that uses real-time, machine-based learning to help payment networks, banks and retailers prevent fraud in omnichannel commerce. Feedzai’s software powers payment systems for customers in North and South America, Europe, and Africa. Feedzai entered the UTEN Global Startup Program (then known as US Connect) in 2011 with the goal to bring its big data analytics platform into the US energy sector. Deep market analysis conducted with Feedzai during the program uncovered a more lucrative and proximate market, credit fraud monitoring. During the program, Feedzai obtained its first US client in this space, Cardinal Commerce. This deal validated the market opportunity and led to private venture funding of $24 million since 2013. The eighth annual SXSW Accelerator startup competition will take place at SXSW Interactive on March 12-13, 2016. A live audience as well as a panel of expert judges will discover advancements in various sectors of emerging technology. Since its inception in 2009, the SXSW Accelerator has seen 305 companies compete and a 65% of those companies went on to receive combined funding in excess of $2.6 billion (does not include undisclosed grants or angel/seed funding) and 13% have since been acquired by the likes of Google, British Telecom, Huffington Post, Apple, Live Nation, OpenTable, Constant Contact, and Harmon. Portuguese companies are encouraged to apply. See the details on the SXSW site. The application deadline is November 6, 2015. The 2015 call for the UTEN Global Startup Program is now open. Update: the call deadline has been extended to July 17, 2015. The Global Startup Program of the IC² Institute at The University of Texas at Austin offers Portugal-based ventures who are ready to “Go Global” a unique year-long immersion experience focused primarily on business to business outreach, global market expansion, global value creation and global revenue generation for firms leveraging our international business development beyond their local/regional markets. Companies selected to “Go Global” will receive executive coaching, mentoring and direct business development, sales and marketing assistance from a dedicated team of seasoned veterans who also leverage the Institute’s network of experts committed to assist Portuguese entrepreneurs and innovators in their commercial expansion overseas. Companies eligible to apply must be post revenue-generating ventures in or affiliated with incubators, accelerator programs or from the Portuguese small and medium sized business community. Companies must have headquarters and major operations in Portugal or show major impact on the Portugal economy. Strong consideration will be given to those applicants who are prepared to make significant time and budget commitments to spending quality time in the USA working directly with our Austin-based business development team. Full details of the call are available on the call page or contact globalstartup@utenportugal.org for more information. Two participating companies in the UTEN Global Startup Program have appeared in the Portuguese media recently. Feedzai, which was a GSP participant in 2013, was listed by Expresso as one of 10 Portuguese companies which are hitting it big. Expresso called Feedzai an “unavoidable name in big data” because of its software for visualizing and analyzing business data in real time. Current GSP participant 2EAST was featured in SIC Notícias for the US launch of its product. 2EAST has developed a unique beverage dispensing system which fits in a backpack, allowing servers to circulate in crowds at festivals and sports events. 2EAST made its US debut this week at Rock in Rio Las Vegas. Members of the UTEN and UT Austin|Portugal communities are saddened by the passing on April 17 of Mariano Gago, the former Minister of Science, Technology, and Higher Education of Portugal. Prof. Gago was a champion of Portugal’s international partnerships and oversaw the founding of the University Technology Enterprise Network (UTEN) and the UT Austin|Portugal program. An electrical engineer and high-energy physicist, he was a Professor of Physics at the Instituto Superior Técnico (IST) in Lisbon and founder of the Portuguese Laboratory for Particle Physics (LIP). He served as Minister of Science and Technology (later Science, Technology, and Higher Education) in 1995-2002 and 2005-2011. As Minister, he cultivated the extraordinary growth of Portugal’s scientific and technological achievements in the last two decades. His emphasis on the internationalization and modernization of Portuguese research institutions was matched with his support for the popularization of science in Portugal through primary and secondary science education and the creation of a network of science and technology museums. Today members of the Portuguese research community honored Mariano Gago by gathering at noon for five minutes of silence. People whose lives he touched are invited to share testimonies, photos and memories about Mariano Gago as a thinker and humanist and his unique legacy and dedication for the development of knowledge, science and technology and the scientific culture worldwide at the site www.marianogago.org. Pictured: António Câmara of UNL, Mariano Gago, and David Gibson of the IC² Institute at the UT Austin|Portugal Program annual conference in Lisbon, September 2010. On February 18 Porto Business School was the meeting point for students, researchers, policy makers and executives, to participate in a talk titled “Fifteen Years of Academic Entrepreneurship in Italy,” by Riccardo Fini, Associate Professor of Entrepreneurship and Innovation at the University of Bologna (UNIBO), and Research Fellow at Imperial College Business School London. Riccardo Fini has been collecting and studying solid evidence about the characteristics and the performance of startups and spinoffs in academic environments in Italy for over 15 years. Providing a thorough overview of this area of entrepreneurial activity, Fini presented the TASTE project (Taking Stock: External engagement by academics), which aims at systematically mapping entrepreneurship from Italian university labs, providing reliable data to better understand the determinants of their high growth, and key success formulas. As the principal investigator of this project, Riccardo Fini has studied, using a multileveled-structured database, the performance levels, patenting activities and strategies that have shaped the academic entrepreneurship environment in Italy throughout the years. For this work to stay relevant, however, it is important to “keep it alive, and updated,” stated Fini, who recently shared all the information collected in the scope of the project with the Italian Government. His research is mostly focused on the individual-level determinants of entrepreneurship, aiming at contributing to the theoretical debate on the foundation of entrepreneurial activities. The data and the analysis that Riccardo Fini brought to the audience’s attention were important contributions to help understand the importance of monitoring successes and failures, and understanding the key ingredients for longevity, in new, maturing, and established companies of academic origins, something that seems to be missing in the Portuguese entrepreneurial environment, as discussed with the audience throughout the talk. Analogous efforts are being thought out for Portugal. The challenges are well identified, and “these are the facts and figures that Portugal needs to obtain from a similar initiative,” emphasized José Manuel Mendonça, Scientific Director of UTEN Portugal. The synergies and collaborations that arise from the international partnerships with American universities can be an important leverage for a detailed and wide analysis, and this is where the UTEN Portugal Program plays a key role, with its broad network of Technology Transfer Offices, Laboratories, and Incubators. According to Jorge Farinha, the vice-president of Porto Business School, who is “proud to host these joint events,” networking moments, as well as presenting studies that can add value to Portugal, are important for the progress of the academic environment, and to keep the dialogue flowing. This was UTEN’s first talk for 2015, in the hopes that this will be a year of collaborations, joint endeavors and international partnerships. 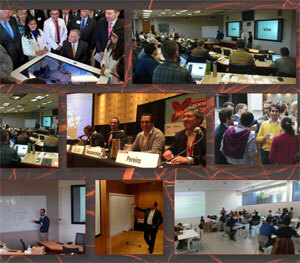 On Thursday, April 23, 2015 the IC² Institute at The University of Texas at Austin will present a networking and matchmaking workshop among firms and technology incubators in Central Texas and the European Union, especially Portugal. Co-sponsored with The University of Texas at Austin’s EU Center for Excellence, the workshop follows the 2015 TX-EU Summit on April 22 and is designed to deliver measurable business development for Central Texas and Portuguese technology firms through a one-day workshop. Cost: Free and open to the public. Registration required. Participants, including Central Texas and Portuguese tech incubator directors and their incubated companies, as well as venture capital experts, will learn about opportunities and best practices for launching or co-locating firms in the EU and in Central Texas. For registration and full event details, please see the IC² Institute announcement. Riccardo Fini of the University of Bologna will speak on Wednesday, February 18 on the topic, “Fifteen Years of Academic Entrepreneurship in Italy – Evidence from the Taste Project”. On Wednesday, February 18, Riccardo Fini of the University of Bologna will speak at Porto Business School on the topic, “Fifteen Years of Academic Entrepreneurship in Italy – Evidence from the Taste Project”. Over the last 20 years, the processes of knowledge transfer and commercialization of academic research through the creation of new research-based ventures (i.e., academic spin-offs) have gained momentum in Italy. The relevance of this phenomenon to policymakers and managers motivates the research efforts undertaken by the TASTE project, which systematically collects and analyzes multilevel, longitudinal data on the population of 95 Italian universities and their personnel, departments, patenting, entrepreneurial support, and spin-out activities. This talk will focus on the 1,010 companies that have spun off from Italian universities, analyzing their main characteristics, shareholding and founding teams, innovation and growth strategies, internationalization behaviors, and performances. Riccardo Fini is Associate Professor of Entrepreneurship and Innovation and CIG Marie Curie Fellow at the University of Bologna (UNIBO). He’s also a Research Fellow at Imperial College Business School London, and Associate Dean and Director of the Master in Entrepreneurship at the University of Bologna Business School. Before joining UNIBO, he researched at Ecole des Mines de Paris (2007), Case Western Reserve University Cleveland (2007-2009) and the University of Bozen (2009-2010). He was also IEF Marie Curie Research Fellow at Imperial College (2010-2011) and Assistant Professor of Entrepreneurship and Innovation at UNIBO (2011-2014). His research focuses on the individual-level determinants of entrepreneurship. His overall objective is to contribute to the theoretical debate on the foundation of entrepreneurial activities, explaining heterogeneity and deviance in their enactment. He’s now serving as principal investigator for the TASTE project, focused on technology-transfer activities by Italian academics. His research was published in Advances in the Study of Entrepreneurship, Innovation & Economic Growth, Entrepreneurship Theory and Practice, Minerva, Research Policy and Journal of Technology Transfer. He was invited to contribute to the University of Chicago Handbook on Technology Transfer and the Palgrave MacMillan Encyclopedia of Strategic Management. As a PI, he has been awarded more than € 300.000 of research funds, and he now coordinates two research teams at the University of Bologna and at Imperial College Business School London. He was recently featured in Nature, Times Higher Education and The New York Times. Abyssal (www.abyssal.eu) develops integrated Subsea Navigation Solutions for Remotely Operated Vehicles (ROVs). 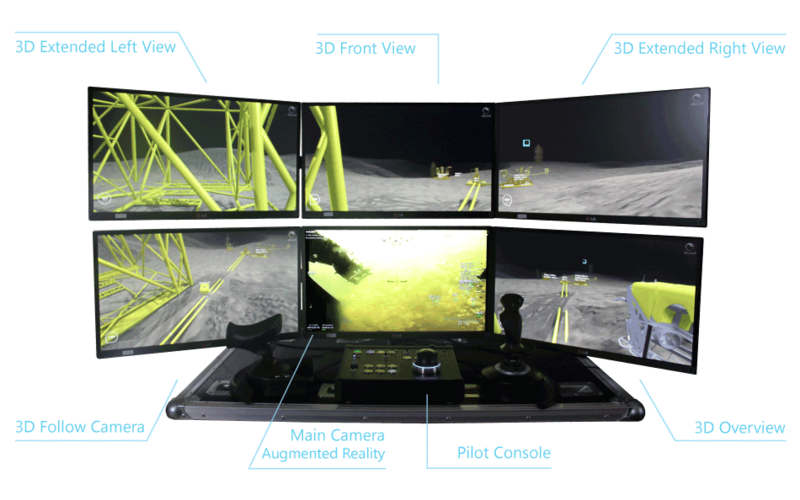 The company’s software, Abyssal OS, was developed after years of working with ROV pilots, subsea contractors, and oil & gas companies. Abyssal OS features advanced 3D technology, augmented reality, and precise navigation. These features allow it to operate safely in the world’s harshest aquatic environments, at depths up to 6,000 meters, or about 4 miles, while superior visualization for the ROV pilot helps reduce “down time” (time underwater), and thus decrease operational expenses. Headquartered in Matosinhos, Portugal, the company is led by Manuel Parente and Rafael Simão. In February this year, Abyssal entrepreneurs Manuel Parente and Rafael Simão made an accelerated tour of the US oil and gas industry – landing in New Orleans and proceeding through Houston and finishing in Austin. It wasn’t their first attempt at promoting Abyssal in the United States. “A year ago we visited these same places and tried to break into this market on our own, without success,” admits Parente. “Interest would be expressed when we were in a meeting, but nothing would happen after that,” adds Simão. While they hoped the UTEN program with the IC² Institute would prove helpful to entering the US market, their expectations had to be re-scaled. Max Green was UTEN mentor for the Abyssal team. “We had four meetings that first day in New Orleans,” he describes, “and at the end of the day I said: Guys, let’s talk.” That first-day discussion transformed the Abyssal business model from one pursuing a $500 million total addressable market, to a potential market of $850 million annually. This market potential could be shifted by making two strategic changes: 1) moving from a purchase-based model to a rental & service-based model (preferred by the oil and gas industry); and 2) by identifying a new performance level to their product offering (also preferred by the market) to enable realtime onshore monitoring of ROV data, in addition to their current offering of two product levels: one to serve the pilot and another to serve the client.